Is the band's no-digital stance hurting them? 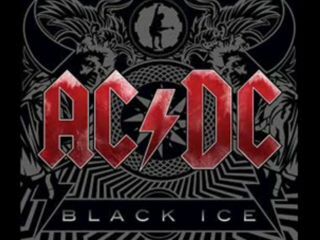 AC/DC's new album, Black Ice, won't be released for another week. But it's already a smash - as an illegal download. The album was leaked onto YouTube and BitTorrent on Oct. 7. While Sony's legal eagles quickly swooped in and succesfully pulled the record from YouTube, the files have remained on BitTorrent - where, according to TorrentFreak.com, they've racked up 400,000 downloads. AC/DC maintain a complete refusal to allow their music to be sold online, because they believe that their music should be sold in album form only, whereas Apple forces bands to offer sales of each single from the album individually. AC/DC cite album sales figures that have actually increased in the last five years as proof that their refusal to offer digital sales works for them. In 2007 they sold 1.3 million albums in the US alone. While it was reported last week that Sony flooded BitTorrent with bogus AC/DC songs in an attempt tothwart users' attempts to download the album, there is evidence that that needn't bother. Some studies have found that downloaders are more likely to buy the official release having sampled an illegal copy, than those who have never heard the music previously. And since AC/DC limits its album sales to physical copies only, this could still be a boon to retailers. At the same time, with 400,000 downloads, this underscores what MusicRadar has known all along: that listeners want access to AC/DC's music on iTunes and other digital sites.